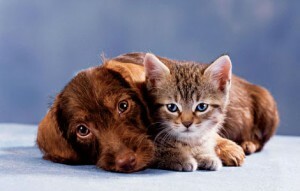 You are currently browsing the The Pet Product Guru blog archives for the day Friday, August 10th, 2012. Your pets immune system is working 24/7 to ward off viruses, bacteria and other foreign invaders that could make your pet sick. When any of these disease causing agents try to invade, a cellular fighting force is deployed to destroy them. Your pet cat or dog need a vigorous immune system to survive. What they eat plays an important role in maintaining a healthy immune system. That’s why your pets diets needs to be balanced in terms as major nutrients such as proteins and fats. Vitamins Zinc, Selenium, and vitamin E are also very important.Too much of one element could be just as damaging to the immune system as too little. As your veterinarian for a recommendation.